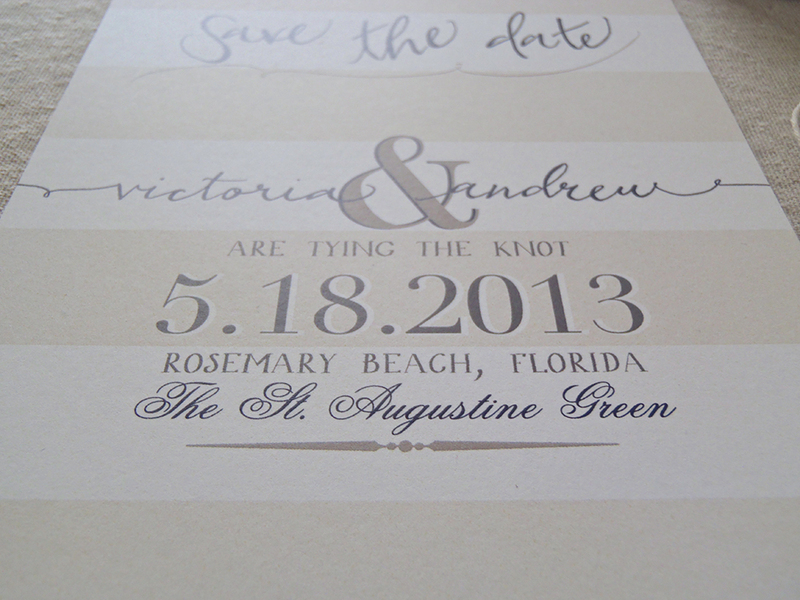 I am thrilled to begin sharing our wedding stationary with y'all! I knew I wanted the save the date to be clean with no picture. I wanted something different though - that's where custom stationary became very important to me! All of our wedding stationary has been done by Honey Bee Invites and I couldn't be more pleased with our products! They are so me (or should I say us?) haha! When you are sending invites all over the country or even sending a large number of invites, I recommend outsourcing for invitations. They will be done the right way and will save the bride so much time! What do you think? If you love them be sure to 'like' HBI on Facebook and visit their blog!